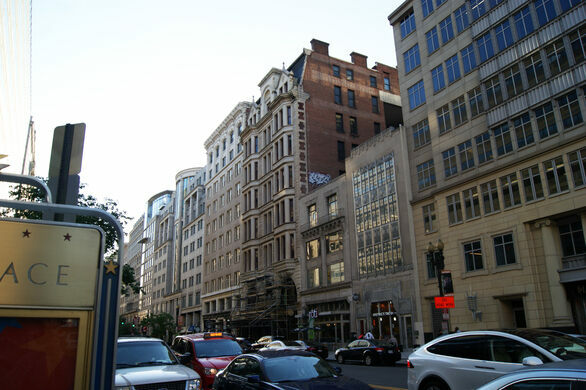 This nine-story building is the oldest standing skyscraper in D.C. The 116-foot Sun Building in Washington, D.C. doesn’t appear particularly noteworthy to contemporary audiences. 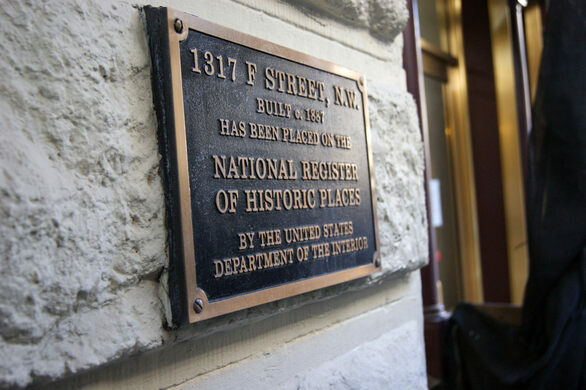 The building is neither grand nor unsightly, and office workers who pass through the doorway might wonder what could possibly justify the National Register for Historic Places plaque bolted to the facade. A Civil War fort in the middle of Washington, D.C. has been swallowed by a forest. 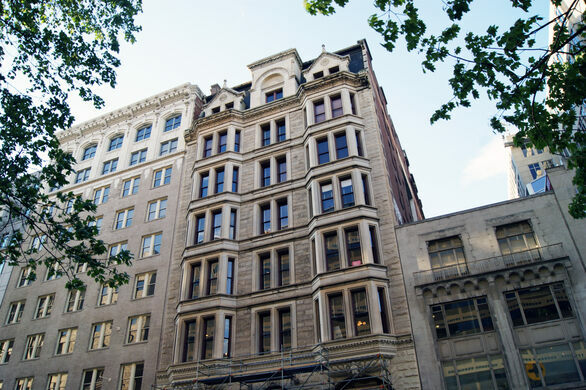 This was the first skyscraper in Washington, a nascent architectural style that did away with load bearing masonry walls in lieu of stronger and lighter iron framing. The juxtaposition of the Sun Building’s diminutive height and its lofty label as a “skyscraper” is a matter of technicalities, and it’s an amusing reflection of the low-skyline norms that dominate D.C. architecture. 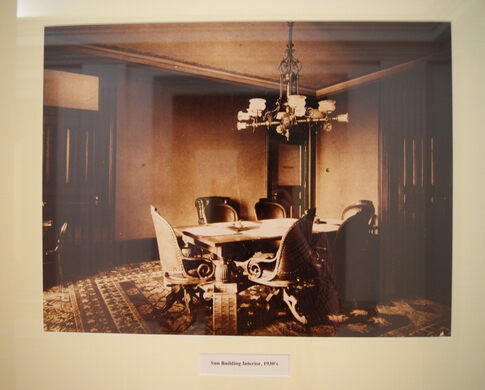 The Sun Building was designed by Treasury Department architect Alfred B. Mullet. 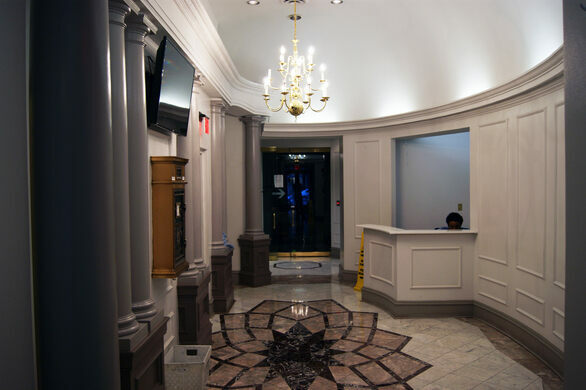 The Baltimore Sun’s Washington bureau operated out of the ground floor, with the remaining space available for rent to other tenants. (Interestingly, decades later one of those tenants was J. Edgar Hoover’s newly created Federal Bureau of Investigation). The exterior facade of the Sun Building is covered by suns and sunflowers, an early example of now-common corporate Architecture-As-Branding - think: Google Campus. 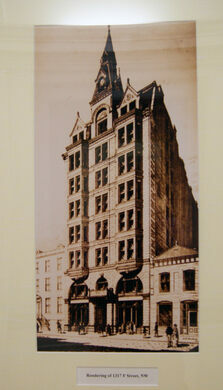 The early skyscraper established the fact that the Baltimore Sun was the paper of note in the nation’s capital. Some have gone so far as to suggest that the Sun Building is actually the oldest still-standing skyscraper in America. In 1987 the Washington Post published an Opinion section piece by enigmatic lawyer-turned-historian Hershel Shanks making exactly that point. Shanks pointed out that while New York’s Equitable Life Building and Chicago’s Home Insurance Building preceded the Sun by a few years, neither of those early skyscrapers survived the 20th century. The matter is definitely still up for debate, but the Post does lay out a credible argument. In any case, the matter is purely an academic argument of superlatives. 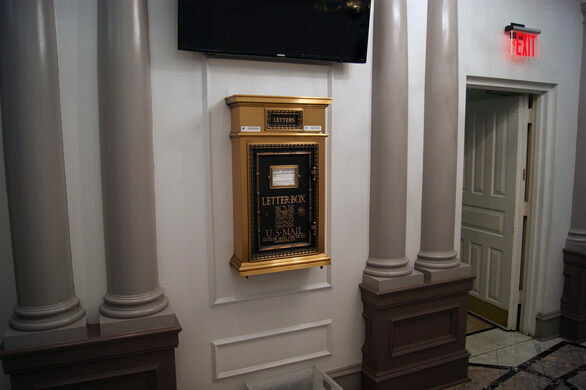 A brass plaque dedicated to a convicted cannibal hangs in the National Press Club, and that's not even the craziest part of the story.